Wellness Exams: Patients under 8 years of age should have a complete physical exam once a year. Patients over 8 years of age should have a complete physical exam twice a year with screening bloodwork once a year. 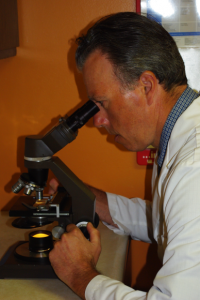 Preventative Medicine: Vaccinations, Flea and Tick prevention, Heartworm prevention, Parasite prevention. 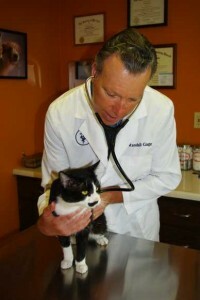 Surgery: Spay, Neuter, Declaw, General surgery, Orthopedic surgery, Wound repair. Patient monitoring by pulseoximetry, ECG, and a veterinary technician during anesthesia. Internal Medicine: Diagnoses and treatment of metabolic diseases and infectious diseases. Dentistry: Teeth cleaning, Extractions, Oral diseases. 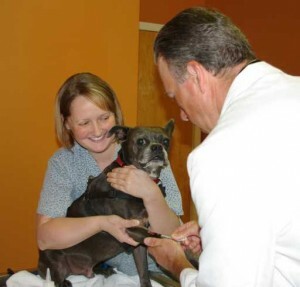 Dermatology: Itching, Allergies, Hair loss, Infections, Ectoparasites (Sarcoptic mange, Demodex mange, Fleas, Lice).